Since the Cambridge Analytica news hit headlines, calls for users to ditch the platform have picked up speed. Whether or not it has a critical impact on the company’s user base or bottom line, the message from #DeleteFacebook is clear: users are fed up. EFF is not here to tell you whether or not to delete Facebook or any other platform. We are here to hold Facebook accountable no matter who’s using it, and to push it and other tech companies to do better for users. Users should have better options when they decide where to spend their time and attention online. The problems that Facebook’s Cambridge Analytica scandal highlight—sweeping data collection, indiscriminate sharing of that data, and manipulative advertising—are also problems with much of the surveillance-based, advertising-powered popular web. And there are no shortcuts to solving those problems. Users should have better options when they decide where to spend their time and attention online. So rather than asking if people should delete Facebook, we are asking: What privacy protections should users have a right to expect, whether they decide to leave or use a platform like Facebook? If it makes sense for you to delete Facebook or any other account, then you should have full control over deleting your data from the platform and bringing it with you to another. If you stay on Facebook, then you should be able to expect it to respect your privacy rights. As a social media user, you should have the right to leave a platform that you are not satisfied with. That means you should have the right to delete your information and your entire account. And we mean really delete: not just disabling access, but permanently eliminating your information and account from the service’s servers. Furthermore, if users decide to leave a platform, they should be able to easily, efficiently, and freely take their uploaded information away and move it to a different one in a usable format. This concept, known as "data portability" or "data liberation," is fundamental to promote competition and ensure that users maintain control over their information even if they sever their relationship with a particular service. Of course, for this right to be effective, it must be coupled with informed consent and user control, so unscrupulous companies can’t exploit data portability to mislead you and then grab your data for unsavory purposes. 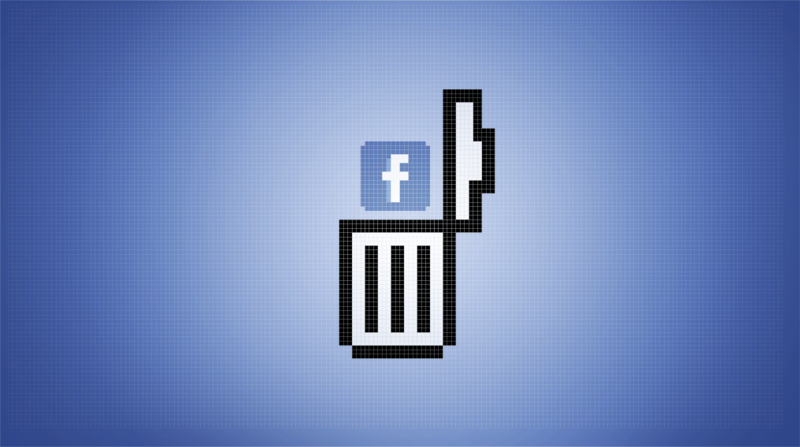 Deleting Facebook is not a choice that most of its 2 billion users can feasibly make. It’s also not a choice that everyone wants to make, and that’s okay too. Everyone deserves privacy, whether they delete Facebook or stay on it (or never used it in the first place!). Deleting Facebook is not a choice that most of its users can feasibly make. For many, the platform is the only way to stay in touch with friends, family, and businesses. It’s sometimes the only way to do business, reach out to customers, and practice a profession that requires access to a large online audience. Facebook also hosts countless communities and interest groups that are simply not available in many users’ cities and areas. Without viable general alternatives, Facebook’s massive user base and associated network effects mean that the costs of leaving it may not outweigh the benefits. In addition to the right to leave described above, any responsible social media company should ensure users’ privacy rights: the right to informed decision-making, the right to control one’s information, the right to notice, and the right of redress. Facebook and other companies must respect user privacy by default and by design. If you want to use a platform or service that you enjoy and that adds value to your life, you shouldn't have to leave your privacy rights at the door.